Do you have those people on your Christmas list that are super hard to buy for? For me it’s always the dads. I think part of it is that most dads just go out and get what they want when they want it. Thankfully now I have Teddy and the dads are so happy to be grandpas that I feel like he counts as a present. But really now that there is a baby photo gifts are totally fair game! My dad is a huge muncher and snacker it seems like he always has some little treat so I thought a photo treat jar would be a perfect gift but when I looked at the different photo gift websites there was nothing. 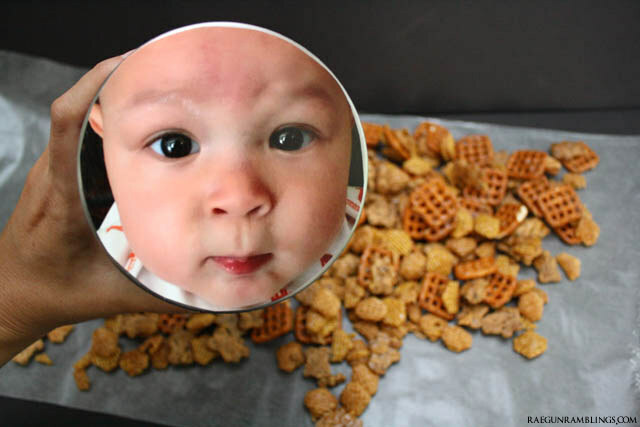 No bowls, no boxes, nothing. And then I though mod podge. 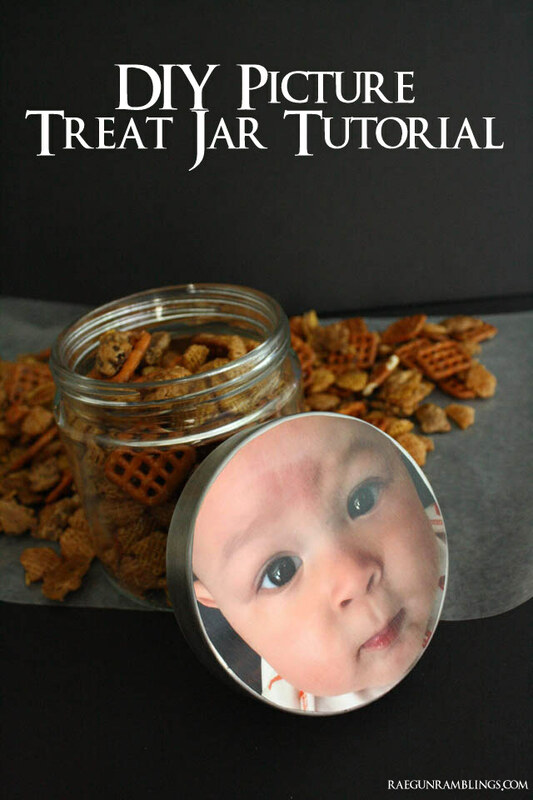 So here is the easiest and quickest tutorial for how to make your own photo treat jar. This would be a fun gift if you swipe a friends vacation or wedding picture off of their facebook page or maybe their little kiddos. Really any picture could be cool. 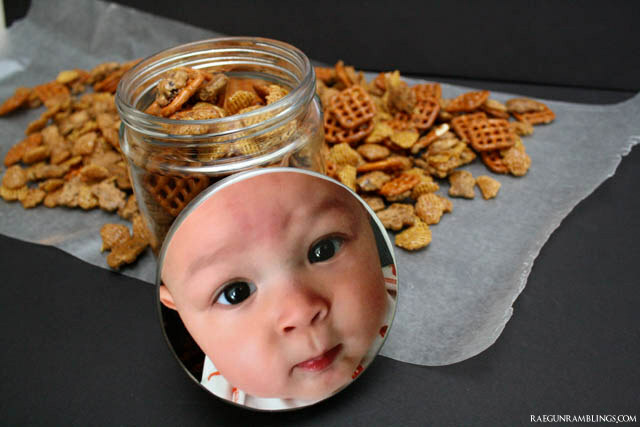 Print your photo out large enough to fit on your jar’s lid. Trace your lid onto the photo and cut it out. 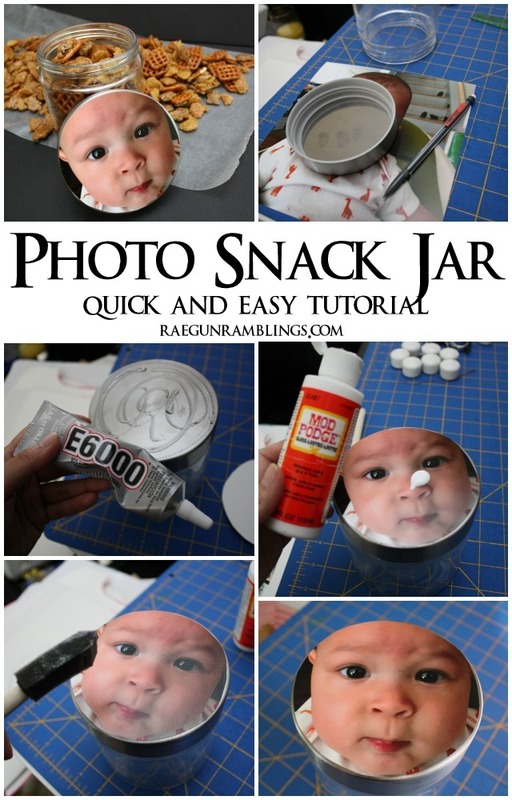 Next glue the back of the photo to your jar. Add a thin layer of mod podge and let dry. So so easy right. You can gift it with your recipient’s favorite Chex Mix recipe or maybe some fun crafting or beauty supplies! 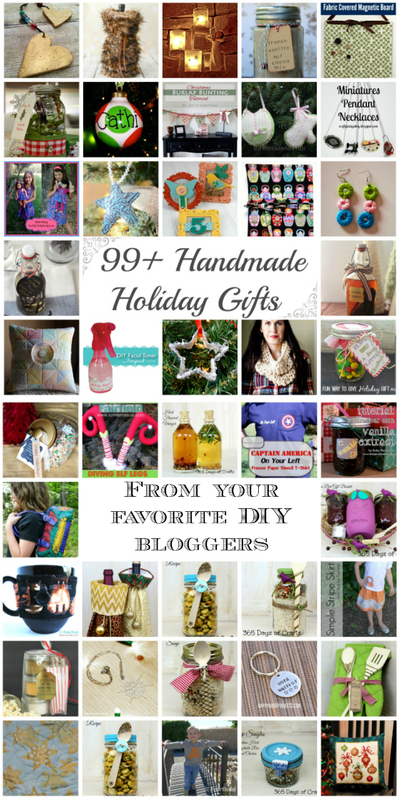 I’m sharing this as part of a Holiday Gift Blog Hop. Be sure to check out all the other awesome gift tutorials being share over this week! Also don’t forget to enter the giveaway at the bottom of this post!